I received a sample for review purposes. 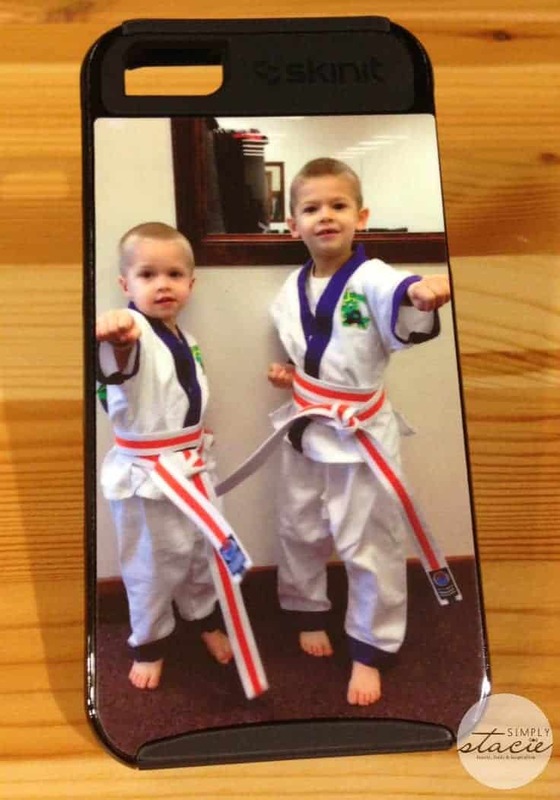 I love being able to switch out my phone case when the mood hits me – whether it’s with the seasons, to showcase the latest picture of my boys, or just on a whim because I want to! I’ve tried a lot of different styles and brands, and I’m happy to say I’ve found a great source for quality cases at a great price from Skinit. Skinit is an industry leader in consumer personalization for electronic devices – whether it’s your cell phone, MP3 player, laptop, PDA device, camera, or even a gaming device. Skinit has thousands of designs ready-to-use, including top names and brands in sports, entertainment, and art. They also feature their own Customizer™ tool that lets you use your own photos, images, text, and symbols to create entirely personalized skins. They are a company committed to offering an easy way to customize your electronics to allow you to showcase your personality. 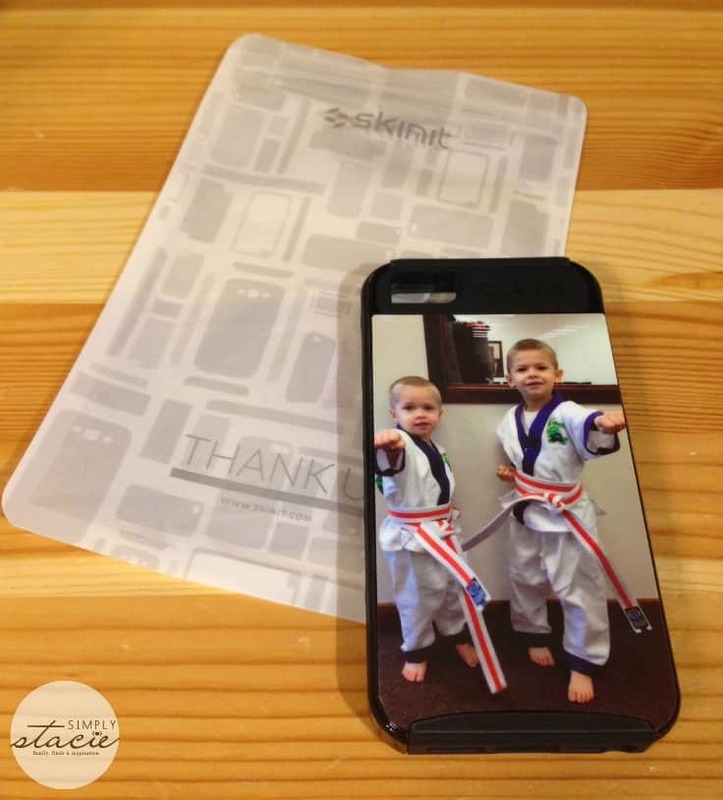 Skinit allowed me to create my own phone case for this review. Starting the process was a breeze – all I had to do was choose what type of device I wanted to personalize. From there, I was given the option of the type of case I wanted to create (I chose the Cargo Case for my iPhone 5 which sells for $29.99) and then I was taken to the Customizer™ tool where I imported the photo I wanted to use and made the edits I wanted. It literally took me just a few minutes from start to finish – and I was even able to preview my case before I ordered. The Cargo Case is a hard shell case, and I love how it fits and protects my phone. It was easy to put on, and all of my ports are accessible. The picture quality is great, and I love not only the look of the case, but the feel as well. It’s sturdy, but not bulky. I like the Sacred Wheel geometric skin for iPhone 5S. I like the Lotus iPhone 6 Waterproof Case. I think the flower is beautiful. thank you! Dd would love the Rockets Green Thumb skin for her Dell tablet! I like the Hello Kitty iPhone 4S INKFUSION PRO CASE! I like the mermaid fairy! I would love to make a custom phone case with a family photo! I want the Inkfusion Lite Case for iPad Air! I would love to get the BATMAN LOGO IPHONE 5/5S INKFUSION PRO CASE for my daughter. Since I’m originally from the US but live in Canada now I would love the American Flag Galaxy S III Skin. I like the Lotus iPhone 5/5s Cargo Case. I like the INKFUSION LITE CASE for my iPad mini. I think I’d go for the either the Inkfusion Pro case or the Cargo case — depending on how the picture would look with each style. I like the Avengers Assemble! NEW Age of Ultron Cases. I like the lotus Iphone 6 case. I like the zig zag google nexus 5 skin. I would like to have the Custom iPhone 4s Skin (for my daughter). A Charlie Brown Christmas – Snoopy Bones. like the Batman Logo iPhone 4/4s Skin my husband would ove it. I like the TALISMAN DRAGON. I would love to have the InkFusion Lite Case. The Samsung Galaxy S6 Cargo Case. The TALISMAN DRAGON is really cool! I like the Leopard iPhone 6 inkFusion Pro Case the most of all of the cases. How to transfer photos from a computer to an iPad?